Before using any tools, make sure to cut the power to switch through the fuse box. Once this has been done, a flathead screwdriver will work nicely to remove the existing switch. The wires attached to this switch need to be loosened and eventually disconnected using the screwdriver or needle-nose pliers. However, keep in mind, that knowing the placement of the wires and which part of the switch they connected to is essential as these placements will be replicated with the new switch. If the switch is “grounded” with a grounding wire, remove this one last. 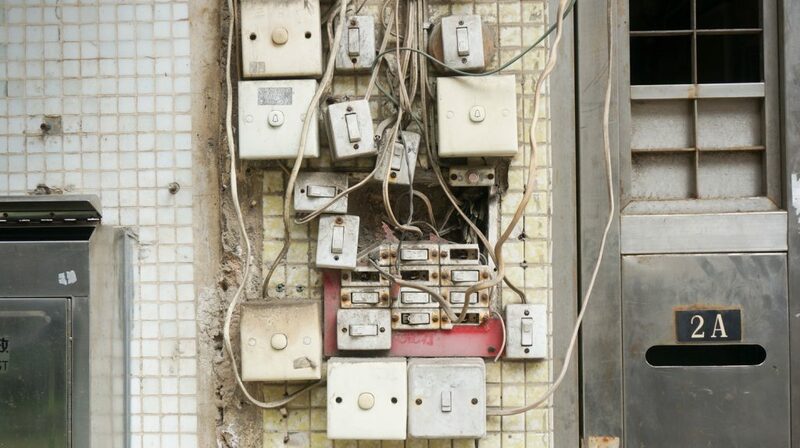 If everything goes to plan, you should be left with three main wires: a black, a white and the ground wire. Keep in mind that sometimes the ground wire may look differently–it could appear as bare copper or another color. Before reconnecting, make sure all the wires are in good quality. If any of them look weak, they may need to be stripped and re-stripped. Now, remember all those placements that the original wires were in? Great, because now that the original switch has been disconnected, and the replacement switch is about to be added, these wires need to go exactly where they were previously. If the wires are not colored and are just copper wires, they will need to be attached by looping them around the screw nice-and-tight. Smaller wires, as well, that are supposed to make up the three big wires have to be twisted–recommended to use the pliers–until they make a large wire. Keep in mind that these scenarios are less likely to occur. Lastly, the only thing left to do is screw the new cover into place. Make sure that no wiring is hanging out, and if it is, try to gently fold it back. Since each light switch may be a little different, it may take a moment of experimenting with the screwdriver to find the best fit for it. You’re done now! Keep in mind that watching a few YouTube tutorials beforehand is strongly suggested, but other than that, this DIY home repair could be the difference between ten dollars and a hundred, and certainly the difference between whether you’ll spend fifteen minutes completing this repair, or two hours waiting for your electrician to do so for you. Replacing a light switch by yourself is still a task to proceed with caution, but if you feel like you’re up for the challenge–go for it.